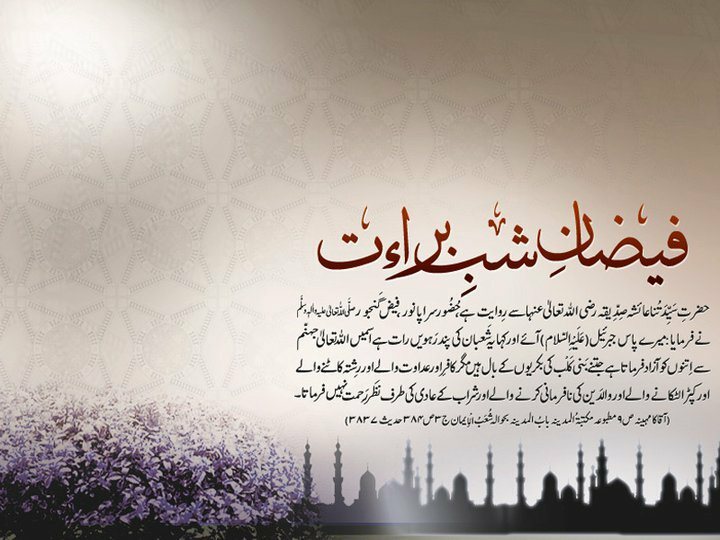 I have much collection of Shab-e-Barat Nawafil, Dua and prayers wallpapers of hadees sharif’s which is said that our Holy Prophet Hazrat Muhammad (S.A.W) to the Ashaba’s. 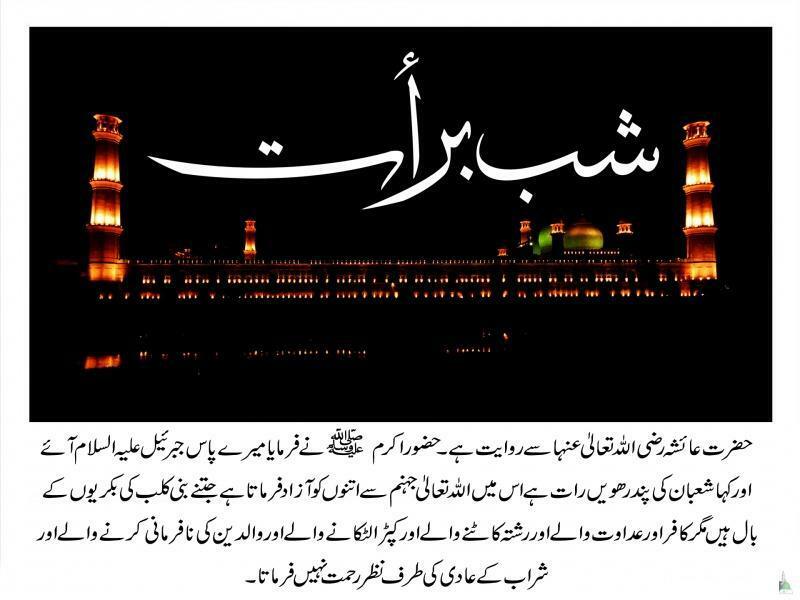 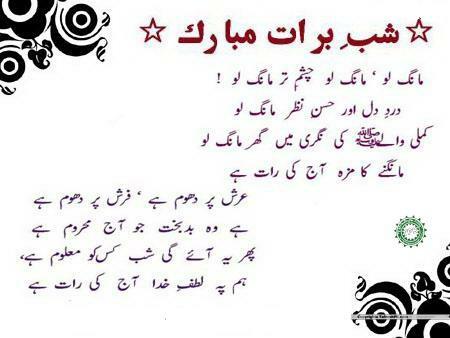 The Sunnah is celebrate the Shab-e-Barat (15th Shabaan Night) with full of joys because 15th Shaban Night is opportunity for the all Muslims to forgiveness his sins from the ALLAH in this night of Shaban month. 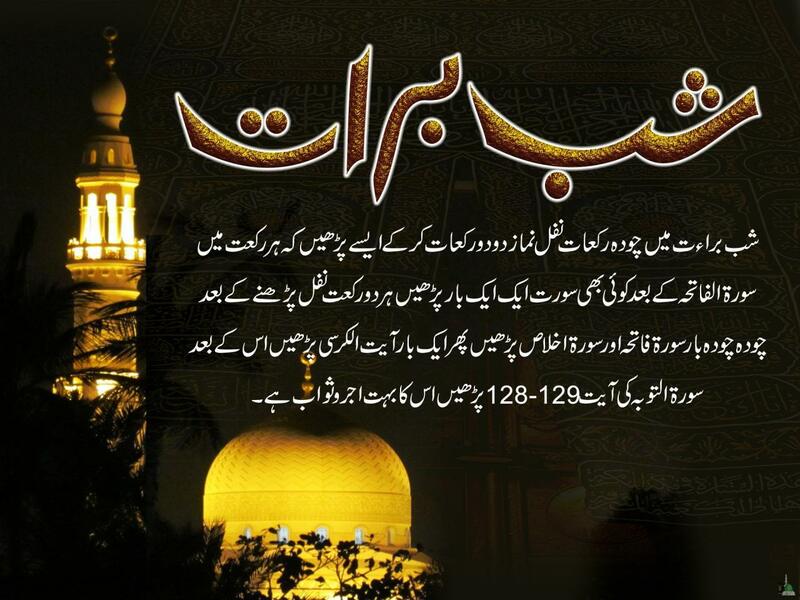 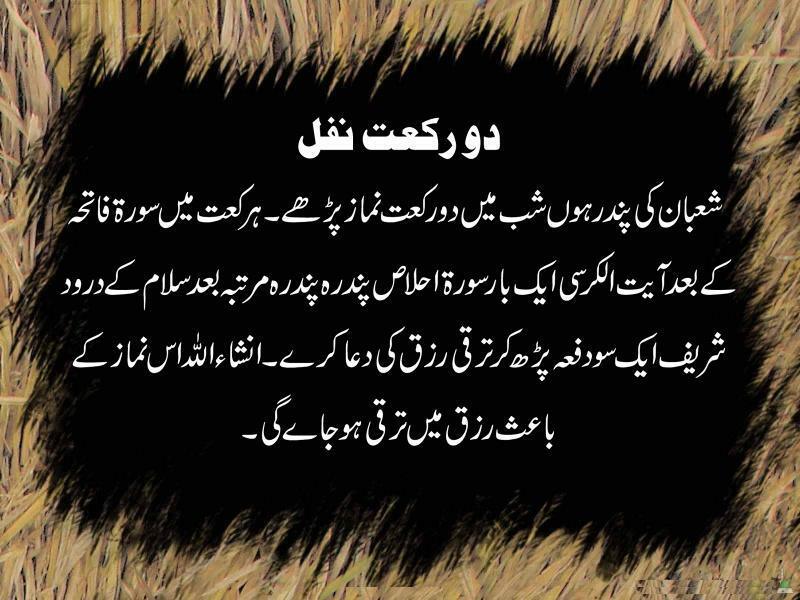 Shaban is the 8th no of month in the Islamic calendar and is meritorious for the whole Muslims of the whole world. 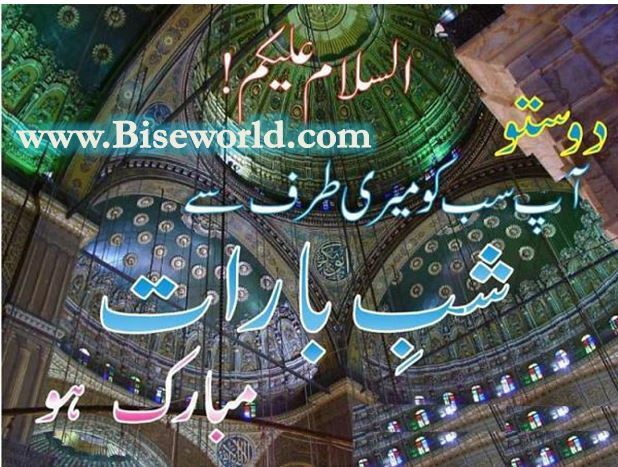 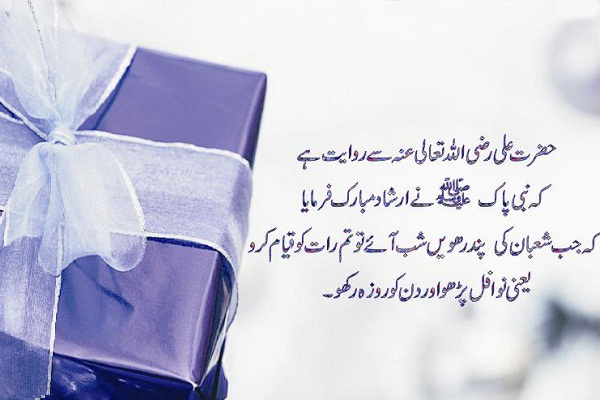 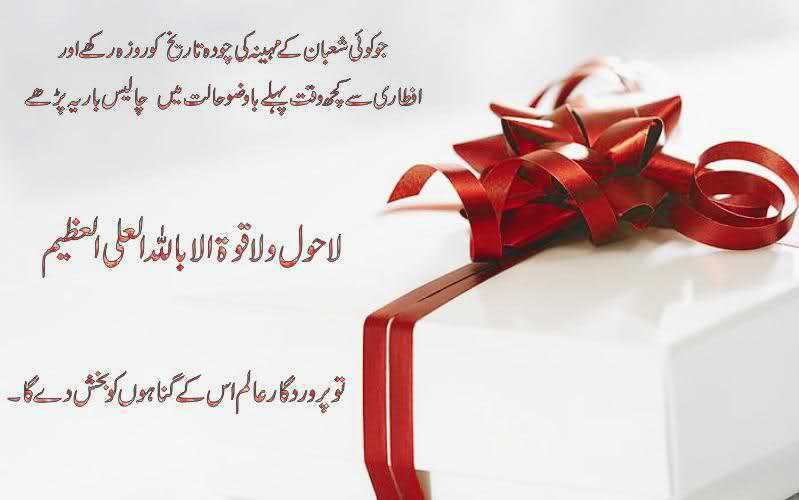 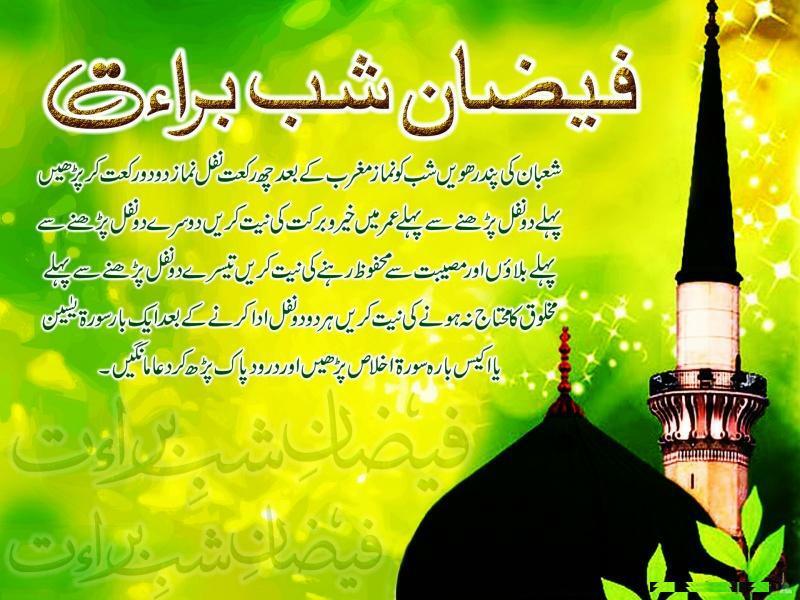 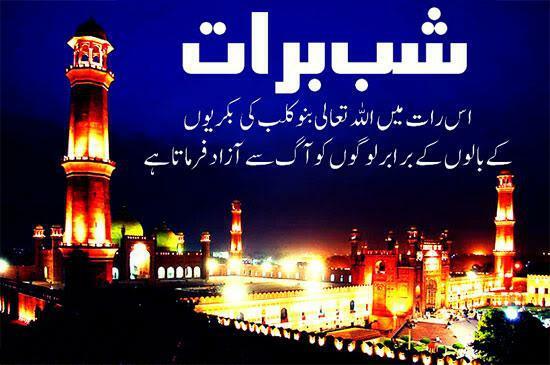 You can also download the Shab-e-Barat SMS latest Islamic information about every topic of Islam in this website at biseworld.com provide the complete information about Islam. 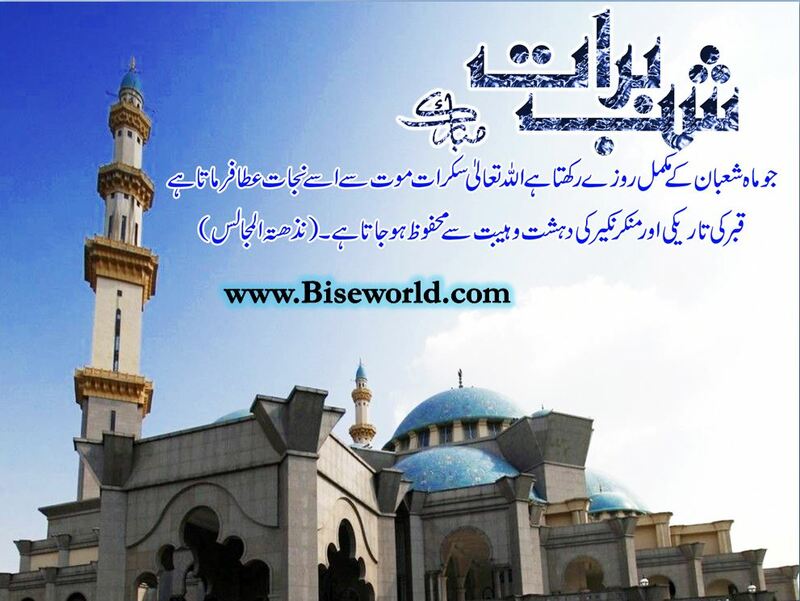 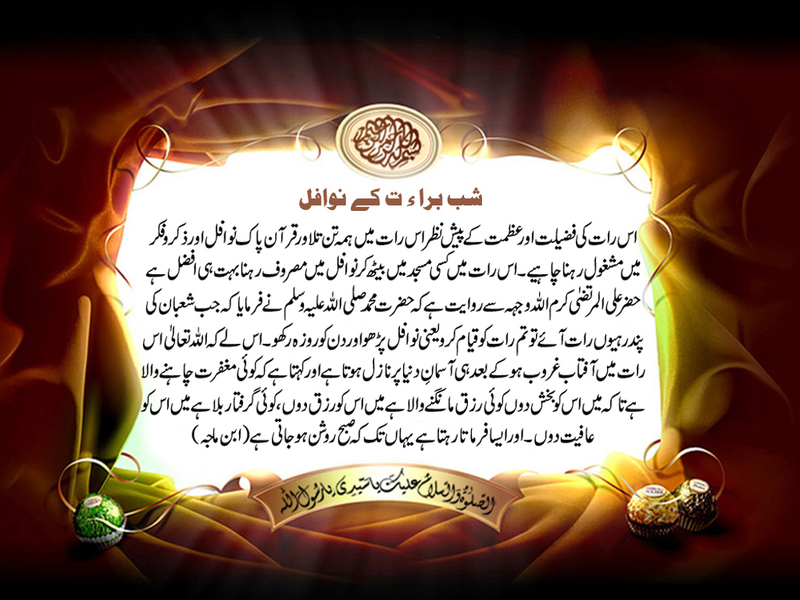 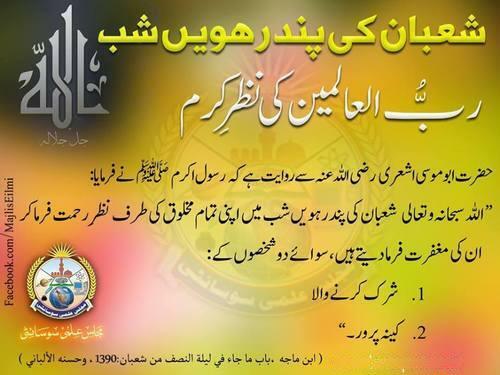 Here available all hadees sharif’s, nawafil, prayers, shabban nifs prayers dua, shab-e-barat history in urdu, shab-e-barat importance full details you can read and download any time.